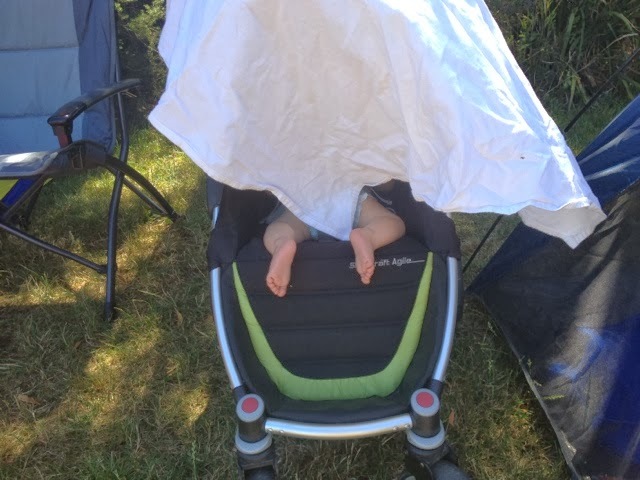 A picture of my children every week for the year. :: Rupert.....while the rest of us sweltered in the 33 degree heat at little athletics little Rupert kicked back in the nudie under a tree. 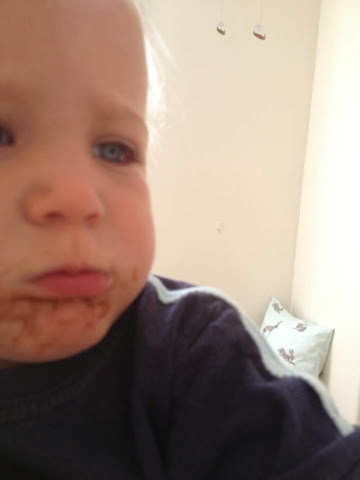 :: Arthur.... after being caught red handed with the cocoa in the pantry Arthur displays a near perfect droptus liptus. 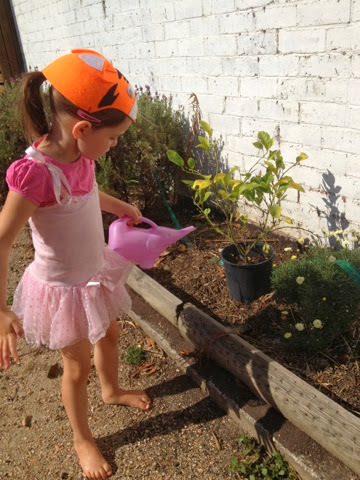 :: Ingrid.... everyone needs a tutu and a tiger hat when gardening...don't you?? 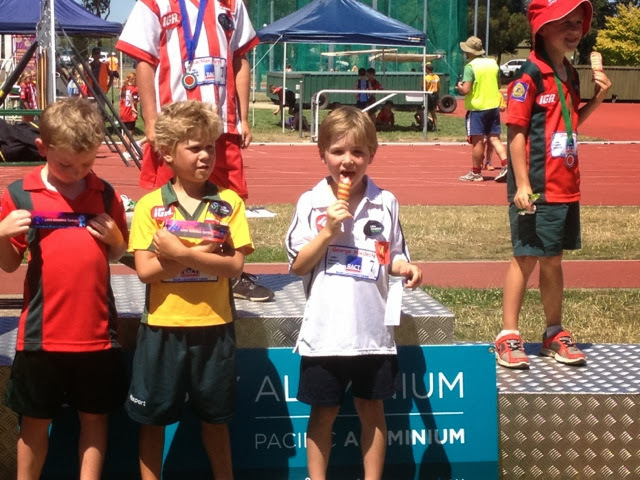 :: George...after running a stellar 200m (twice actually as they pulled them up with 20 m to go as the timers weren't working, made them wait 15 minutes in the 33 degree heat then ran them again) George was more interested in a very well deserved icy pole than the presentation ceremony! !